Tarzan of the Apes, by American writer Edgar Rice Burroughs, was first published in All-Story Magazine in 1912 and in book form in 1914. The book proved so popular that Burroughs wrote more than twenty sequels over the next thirty years. The first movie version of the novel was in 1918, with many others following. It was during the 1930s, however, that Tarzan became a genuine movie icon. The movies made the story of the jungle ape man much more famous and popular than it would otherwise have been. As the book begins, John Clayton and his wife, Anne (Lord and Lady Greystoke) have set out from England for Africa. John Clayton is going to assume a post in Africa for the British government. Things do not turn out well for them, however. The crew of the ship they are on mutinies, kills the officers, and puts John Clayton and his wife ashore in an isolated and remote part of Africa where they have very little chance of surviving. Anne is going to have a baby, but that is the least of the couple’s worries. They set about building a small cabin in the jungle where they can keep themselves safe from jungle predators. Tarzan soon discovers that he is not like the other apes. The most striking difference is that he isn’t covered with fur. As he grows into manhood, he begins to display the best of both worlds: the cunning and intelligence of a man and the strength and agility of a jungle predator. He swings from tree to tree, from branch to branch, with ease, apparently defying gravity. When he is hungry, he kills a jungle animal and eats it raw. Eventually he comes across the little cabin that his father built (not knowing, of course, that it was his father) and discovers the books that belonged to his parents. Their skeletal remains are, in fact, inside the cabin. With much painstaking effort, Tarzan teaches himself to read English from the books in the cabin without ever having heard it spoken. He gradually puts the pieces together to learn the truth about himself, that he is descended from an English Lord and is an English Lord himself, Lord Greystoke, but it doesn’t matter to him. He is still Tarzan, king of the apes. When Tarzan is at the height of his muscularity and physical beauty, a small band of white people find themselves in his jungle. (Included in this group is, ironically, Tarzan’s cousin, William Clayton.) The whites are lost and abandoned, in much the same way that Tarzan’s parents were, and, finding Tarzan’s cabin, use it as their own. Among these white people is one Jane Porter, an American girl traveling with her professor father. She is the first white woman Tarzan has ever seen and he falls in love with her. He becomes the benefactor and protector of all the whites, but he is really doing it for Jane. When he rescues her, they have a romantic interlude in the jungle. The jungle adventure at this point turns into a love story. Tarzan rescues one of the party of whites, the Frenchman Paul D’Arnot, from torture by cannibals. D’Arnot and Tarzan are then separated from the others for an extended period of time as Tarzan nurses D’Arnot back to health. During this time, Tarzan learns much more about civilization from D’Arnot and learns to speak French. When D’Arnot is well enough, he and Tarzan make their way back to the camp of the whites, but they have gone way. They waited one week longer for the return of Tarzan and D’Arnot at the urging of Jane Porter, but, alas, they finally go away, believing that Tarzan and D’Arnot are probably dead. Becoming more and more familiar with the ways of civilization, Tarzan, along with D’Arnot, make their way back to civilization and eventually to America, where Tarzan wants to claim Jane Porter as his own, only to discover that she has agreed to marry his cousin, William Clayton. We learn that she is marrying Clayton only for money to help her father, when it’s Tarzan she really loves. Tarzan of the Apes is written simply, obviously for a youth audience, but it is engaging enough for an adult audience. If it lacks the depth and nuance of great literature, it still has literary merit. That it is still in print and still being read after a hundred years says a lot. 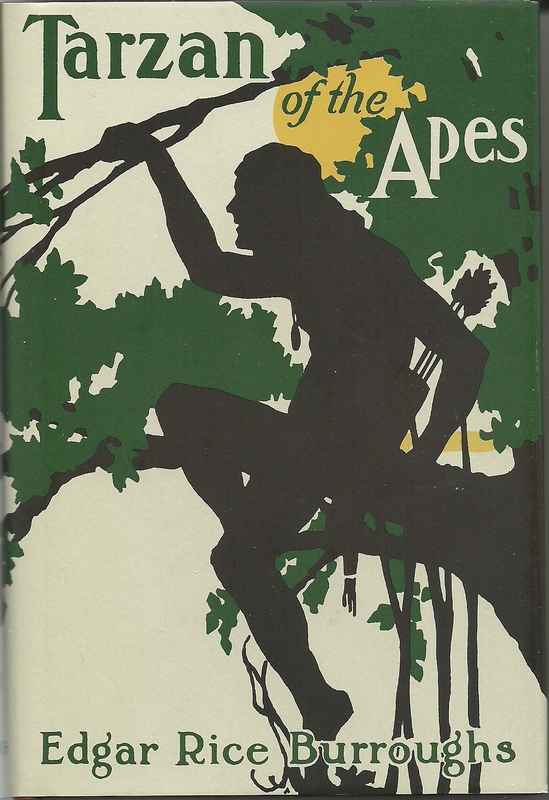 Posted in Uncategorized and tagged Allen Kopp, capsule book review, Tarzan the Ape Man. Bookmark the permalink.